Valencia Acura is one of Acura's highest-ranking dealerships in customer satisfaction and one of the highest in the nation for customer loyalty. But it wasn't always that way. When Don and Cheri Fleming took the helm in 1997, they transformed a struggling dealership that ranked dead last nationally in sales and customer satisfaction into the thriving dealership it is today by infusing a culture of treating customers the way they wanted to be treated. For 20 years, the Flemings have worked to create a car-buying experience based on friendship. Their treating customers as friends' culture is genuine. In fact, Valencia Acura has received the support of many new and loyal customers some who have purchased 10 or more vehicles from the showroom floor. "As we mark two decades as the 'Friendship Dealership,' we're excited to announce that Valencia Acura has earned Acura's Council of Excellence Award from Acura Financial Services for 13 years and the Acura Precision Team status for its 11th year! The Precision Team status is the most prestigious honor that Acura can grant to its dealerships. The status recognizes those dealership teams that demonstrate superior achievement in customer satisfaction, sales and service. Acura dealerships are given the year to achieve a rigorous set of objectives and prove they are worthy of Acura's most coveted award. Criteria is established to enhance the client experience with most measures based on actual client feedback and survey scores. To achieve success in the program, it requires a group effort and total commitment to excellence by the entire dealership team. And, yes, we have an amazing team of employees who really care about our customers!" says Cheri Fleming. Sadly, thousands of children are injured and killed every year in the US because of the careless and negligent actions of others. Whether it's from a defective car seat, an irresponsible physician who injures a child as they are being born or a person who behaves inappropriately with a child, anyone who hurts a child should be held accountable for their actions. If your child has been injured because of someone else's negligent behavior, a Los Angeles child injury attorney will provide you with the representation you will need to receive compensation. When a child is injured, not only do they suffer physical injuries that can last a lifetime, but they often are damaged emotionally, as well. Serious accidents and traumatic experiences can leave hard-to-heal scars. Sometimes accidents happen, but when an accident could have been prevented had a person been more careful, the responsible party deserves to pay for their mistake. If your child has suffered from birth injuries, abuse, car-accident injuries, medical malpractice, SIDs, school-bus accidents, dangerous products, pedestrian injuries or injuries caused by improper supervision, you need an injury attorney experienced in child-related cases. Valencia Country Club's luxurious 45,000 square-foot clubhouse serves as a welcoming focal point for member dining, socializing, networking, wellness and special events. With a championship golf course designed by the legendary Robert Trent Jones, Sr. as its centerpiece and superlative service as its cornerstone, Valencia Country Club re-defines the private golf and lifestyle club experience. From its beautiful clubhouse and state-of-the-art fitness center to its remarkable event amenities, Valencia Country Club offers members and their guests endless opportunities for socializing, networking, competing and memory-making amidst the stunning beauty of the Santa Clarita Valley. But don't take our word for it. Right now, Valencia Country Club is offering a variety of membership and special-event promotions. Book your holiday gatherings now for your first choice of dates. Is it Ok to Favor One of your Children in your "Will?" What happens when you have more than one child who is going to inherit your retirement accounts and real estate? Can you favor one over another? I have seen many clients over the years who have decided that one or more of their kids are not financially capable of handling the money they would receive upon their parents' passing. Often people have one or more children that have great careers, reasonable spending habits, and a good start to their own savings. However, sometimes there is that child that has issues with reality. They don't have a steady job or career, they may have substance abuse issues, or they just never wanted to 'grow up' when it comes to financial responsibility. Should you consider controlling the way in which you disperse the funds to that wayward offspring? My answer is a resounding YES! I have never seen anything good come from handing thousands of dollars to someone who cannot handle hundreds of dollars. Everything from accelerated drug use, to death, to complete squander on the other. I have seen marriages break up, foreclosures, bankruptcies, and on and on, all because they were unable to handle money. Consider having a Revocable Living Trust established by a competent attorney. Avoid the temptation to save a few hundred dollars at the do-it-yourself websites. It may work just fine, but you won't know until you are dead and by then it's too late. The Trust can disperse the funds the way you would like and when you determine, including requiring certain conditions to be meet before anything can paid out. This can include classes to be completed or degrees earned. You may also want to have the main part of the funds continually held in Trust, in case the spouse of your child is the problem. 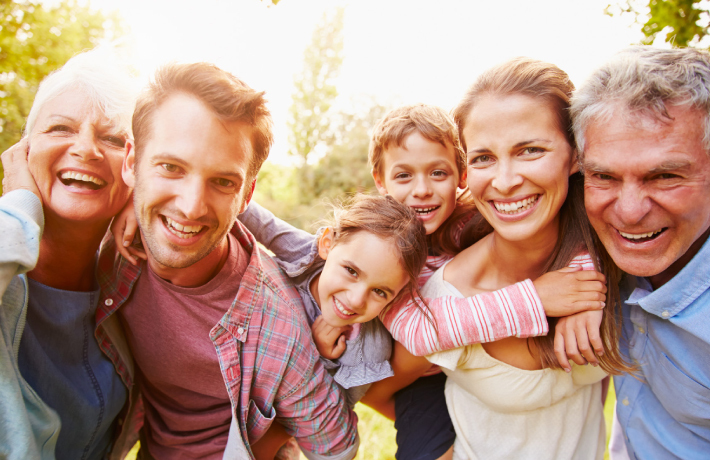 If your child receives the money and they co-mingle it with their regular savings or checking accounts, then the money may now belong to the spouse as well. Meaning, a divorce down the road can have your hard-earned money going to the new spouse. I have seen it all. If you have worked for the money and want it to go to your children or grandchildren, the way you want it to, then a Trust may be the answer. Adding a large amount of money to a child who is already bad with money is like adding gasoline to a small fire. Nothing good happens. Don't "trust" - put it in your trust. Clients sometimes want to leave assets to just one person and then say "I have confidence they will take care of their brothers and sisters." You might be surprised to hear that verbal promises don't often work out as intended after Mom and Dad have passed. There is usually no route for those who find themselves unintentionally left out except for litigation. Further, even if your verbal wishes are carried out, with one beneficiary providing for your other loved ones, it can lead to severe tax consequences for those involved. In short, it creates a mess. Fortunately, naming each beneficiary in your trust is simple to do and will avoid these problems completely. Please don't write on your trust or will. 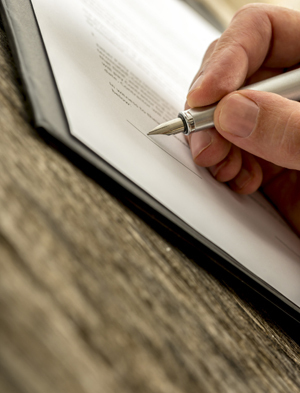 Once you have an estate plan created by an experienced attorney, please don't handwrite on these documents. People will sometimes change their mind about certain decisions and try to make alterations by hand, thinking that crossing out and initialing is okay. It's not! This is a quick and easy way to potentially invalidate your documents or accidentally disinherit someone. These types of surprises are never fun for the family. If you want to make changes, give your estate planning attorney a quick call and get their take on it. Please don't wait until there is a health issue or incapacity to make a change to your plan that you want to make now. In those times when health issues come up, the last thing most people want to do is meet with a lawyer. If you've been thinking about having your trust reviewed or making modifications, don't procrastinate. It's a very easy, no-hassle thing to have your trust reviewed to make sure it meets your present wishes.